Droid NAS was updated to version 1.1 which adds password protection option. Screen will now always stay on while application in foreground. 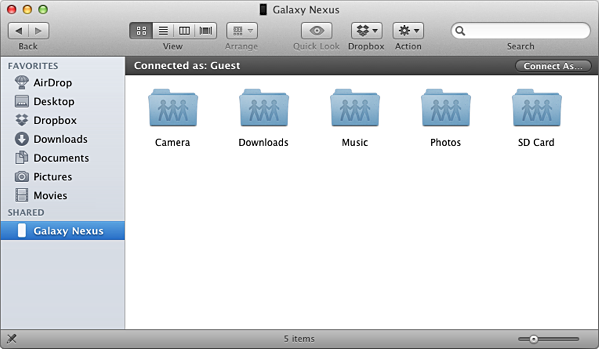 Droid NAS allows you to share folders over Wi-Fi network, making your Android device visible as Bonjour computer in Finder on your Mac. Turn your phone or tablet into wireless flash drive with a single tap! Different profiles can be used to quickly choose which folders to share. 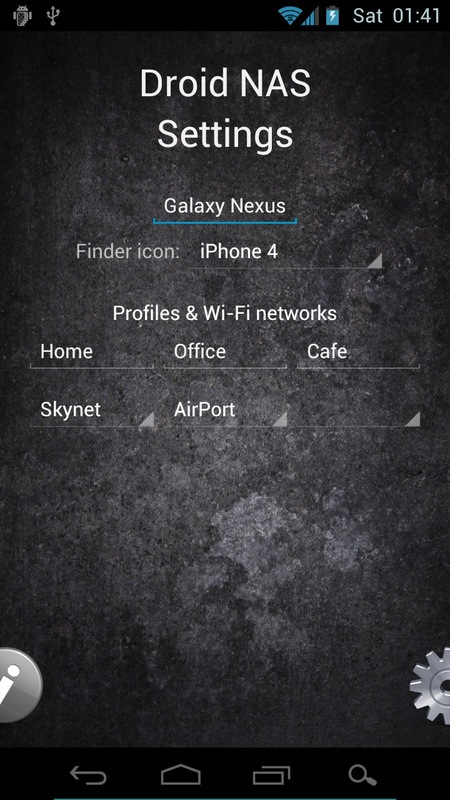 Assign your home or office Wi-Fi networks to profiles and Droid NAS will auto-select profiles on start. 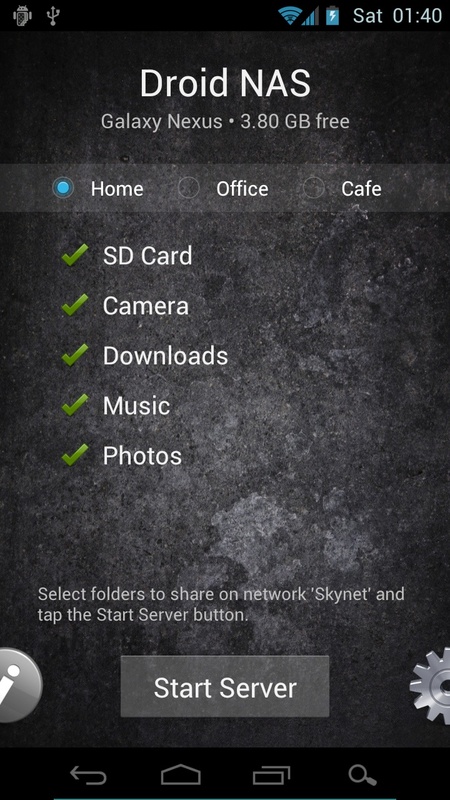 Android: apps like ES File Explorer, Solid Explorer, GTVBox Video Player. Windows is NOT supported because it can’t connect to SMB servers via a non-standard port. Linux most probably also won’t work.